Visual Typologies from the Early Modern to the Contemporary investigates the pictorial representation of types from the sixteenth to the twenty- first century. Originating in longstanding visual traditions, including street crier prints and costume albums, these images share certain conventions as they seek to convey knowledge about different peoples. The genre of the type became widespread in the early modern period, developing into a global language of identity. 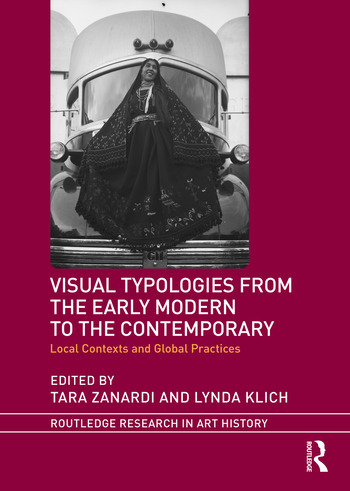 The chapters explore diverse pictorial representations of types, customs, and dress in numerous media, including paintings, prints, postcards, photographs, and garments. Together, they reveal that the activation of typological strategies, including seriality, repetition, appropriation, and subversion has produced a universal and dynamic pictorial language. Typological images highlight the tensions between the local and the international, the specific and the communal, and similarity and difference inherent in the construction of identity. The first full- length study to treat these images as a broader genre, Visual Typologies gives voice to a marginalized form of representation. Together, the chapters debunk the classification of such images as unmediated and authentic representations, offering fresh methodological frameworks to consider their meanings locally and globally, and establishing common ground about the operations of objects that sought to shape, embody, or challenge individual and collective identities. "Bodies of Work in the ancien régime: the Costumes Grotesques by Nicolas I de Larmessin"
It is written in their faces: Seri women and facial painting in photography. Tara Zanardi is Associate Professor of Art History, Hunter College, CUNY, USA. Lynda Klich is Assistant Professor of Art History, Hunter College, CUNY, USA.